These are the jetties at Tin Can Alley on Gwynn's Island. Mathews County thankfully has several designated spots for public access to the beach and bay, and Tin Can Alley is one of them. Tin Can Alley is not to be confused with Tin Pan Alley, although Chesapeake Bay Woman regularly does so, even though she realizes one refers to musicians and songwriters in New York and the other refers to a postage-stamp size beach on a sleepy little island in the Chesapeake Bay, worlds apart. Still, CBW is very easily confused and amuses her children by talking about their Xbox 350 (instead of 360) or XCube (instead of Game Cube or Xbox) or asking if they're watching Josh and Drake or Jake and Josh (a television show otherwise known to the rest of the teenaged world as Drake and Josh), among just a few examples. These jetties have been here for decades, well before those summers in the 1970s when my paternal grandmother took us here to go swimming. We liked to walk along the top like a balance beam and then jump off into the stinging-nettle-laden waters only to quickly scurry onto the scorching hot sand, where we awaited imminent death from the blazing sun that sucked the life out of our skin which had been marinating in very dense salt water. And stinging nettles. OK, it wasn't quite that bad. But I can assure you swimming here is not nearly as relaxing as it ought to be based on how tranquil and serene it appears. These jetties are (or used to be) found everywhere around the island. Their primary purpose is to prevent erosion. Based on how long these have been here, I'd say they've done an admirable job. This side of the island, facing east, is on the receiving end of some of our more ruthless storms. The on-line dictionary says jetties are "a structure extended into a sea, lake or river to influence the current or tide or to protect a harbor." Looks like some of these jetties need some protection or reinforcement themselves. Click here for a link to another Chesapeake Bay Family story I wrote in 2008 about Tin Pan Can Alley. But only if you're bored. Otherwise, have a great day and a great week. Saturday morning I drove over to Gwynn's Island. Although it was very cold, there was surprisingly little wind. Some of my favorite shots were taken from the public landing at Edwards Creek. When I was a teenager it was possible to drive your car or truck up onto this dock. Many of the commercial watermen kept their boats here, and driving on the dock was essential for loading and unloading things from the boat to the truck. I always thought it was such a thrill, driving or riding up on this dock. Of course, I didn't get out much. As you can see in the shot above, there was a thin coat of ice on the creek. What you can't see from the shot above is that as I was squatting down to shoot this, a man and his two dogs were approaching from behind. He was just out for a walk, and part of that walk included a stroll to the end of the dock. Turns out, the man used to play in a band with my father. We had a nice chat about the good old days, his dogs, and the weather. He was also quick to point out how displeased he was that someone left these old crab pots on the dock. I didn't have the heart to tell him I thought they were photogenic and would make an interesting picture. So I waited until he left before I snapped this. It wasn't until after he left that I remembered I was wearing pink socks. I couldn't find any other clean socks and certainly was not going to do laundry on a Saturday morning, when there was so much fun to be had taking pictures. So I scraped the bottom of the sock drawer and came up with pink socks. It's important to know that I don't usually wear pink anything. I'm not a pink sort of person. But desperate laundry situations call for desperate measures, up to and including donning pink socks paired with brown tennis shoes. It's sort of like sneaking out into your yard in a bathrobe to walk the dog or something. You're not really expecting to stay out long, and you certainly aren't expecting to run into someone. Same logic was applied here with the socks. It's bad enough trying to justify wandering around Gwynn's Island with a camera on a freezing cold day, eagerly snapping pictures of things other people view as a disgrace. But it's another thing entirely to do so while wearing neon pink socks. Of course he didn't notice since I was standing and my pants covered them up. But still. I knew they were there and I wasn't expecting to run into anyone at the end of a dock in the dead of winter in the middle of Gwynn's Island. Plus, there's no doubt in my mind the pink socks were visible when I crouched down to take some of the pictures I did, prior to knowing anyone was approaching. I wish I knew why I choose to focus on ridiculous things like pink socks that nobody but me was worried about, rather than the crab pots; or the dock; or the beauty and serenity of the water; and the glory of a magnificent, carefree Saturday. Throughout this week I'll share more photos from my little jaunt to the island. And I promise there will be no further mention of those dreaded pink socks which, to add insult to injury, have holes in the toes. This lovely old door or window or whatever it is belongs to a building everyone from Mathews passes anytime they go to Gloucester (unless they're going by boat, and most likely they aren't): James Store. In my lifetime James Store was a functioning, bustling post office and store. Now it sits all by its lonesome self, counting cars go by, fondly reflecting on the past. When I attended Gloucester Day School (now Ware Academy, formerly my mother's home and grandmother's country store), my friend Heidi often invited me to spend the night. She lived in a brick house on the right just before you ascend James Store hill. This house had a swimming pool. In case you missed that, she had a swimming pool. A swimming pool, people! Having a friend with a swimming pool was the equivalent of having a friend with a boat. Heavenly. However, the pool has absolutely nothing to do with this story, so pay no mind to all the attention I'm giving it. Just know that when you live in an area with Amazon jungle humidity and Death Valley temperatures in the summer, the importance of having a friend with a pool cannot be overstated--except in this particular blog post which is entirely unrelated to heat, humidity and pools. Let's focus now on the original blog post, patiently awaiting our return. Heidi's kinfolk owned and operated James Store for many, many years. Aside from spending hours luxuriating in her very own swimming pool, she and I would go exploring in the woods behind her house, which at the time ran from Rte. 14 clear to Rte. 198. Or maybe it just felt that expansive because we didn't know where her property line ended and someone else's began. When you're 10 years old and have an entire woods as your playground, nobody really cares about property lines. But we did care about being thirsty. We'd inevitably end up at a spring where fresh, clear, cold water bubbled and gurgled up from the ground like a magical oasis in the middle of the woods. OK, that fresh, cold, bubbling, magical oasis stuff sounds a heckuva lot better than what it actually was looked like. What it looked like was a ditch. In the middle of the woods. Standing water. Not bubbling. But it was cold. And I didn't die. Ergo it must have been OK--or something. Heidi assured me it was from a spring, and I've no reason to doubt her other than we were ten years old and she may not have had her facts straight. These were the days when drinking straight from the outdoor spigot was not only acceptable, it was hoity toity, a step up from drinking from the hose expected; drinking from the garden hose was commoner than dishwater very common. The other salient tidbit relating to James Store has to do with the hill on which is sits. They say the Chesapeake Bay was formed when a giant meteorite collided with the Atlantic Ocean and caused a huge crater (click here for more details). Mathews is as flat as a pancake in most areas, and below sea level in all others. In other words, we're one hurricane or two away from falling into the abyss of that crater. As you ascend the hill at James Store, it's as if you've just climbed out of the abyss just passed through the outermost reaches of that meteorite crash. From an old post office to drinking from ditches natural springs to seismic and cataclysmic clashes, all this and more can be found at James Store. Welcome to Three Thing Thursday, where I share three things--usually whatever happens to be jostling against my few still-functioning brain synapses-- and you share three things. Whatever you want. Anything at all. 1. The photo above was taken in January of 2009 on Gwynn's Island as the sun was rising over the bay. Each grain of wood seemed to silently and stoically compete for every speck of light and shred of warmth. 2. Yesterday we enjoyed (or tolerated, depending on your perspective) just about every possible weather phenomenon. At the crack of dawn? Rain. Noon? Thunder. Bedtime? Hail Snowflakes. Not once, not even for a second? Sunshine. Right now I completely understand the silent elation competition for sunlight and warmth going on in the photo above. 3. This week I had the pleasure of hearing from two readers with a connection to Gwynn's Island. I doubt they know each another, but they both expressed a desire to see more photos of the island. It's been a month of Sundays since I've been over there to take pictures, so my goal for the weekend is to take a jaunt to the island with camera in tow. I can't wait. That's all that's fit to print in my world. Now it's your turn to share three things, and if one of those three things involves the sun, or a countdown to spring, or talk of daffodils? All the better. Labels: daffodils, Gwynns Island, sunrise, Three Thing Thursday, Vitamin D Deficiency, Where's the Sun? Recently I reposted the first chapter in a series I wrote back in 2008 about my family's 1977 cross country camping trip. Two adults, three kids, five large attitudes and zero entertainment were trapped together for one whole month traveling from Mathews County to San Francisco. And back. To those who have read this before, my apologies. To those who have not read this before, my apologies to you as well. As I mentioned, the entire Chesapeake Bay family was jam-packed into a VW bus pulling a Coleman pop-up camper across country from Virginia to California and back for our family "vacation." One of our stops was the Grand Canyon. The Chesapeake Bay Griswolds pulled up into the parking lot of the Grand Canyon. OK, not the parking lot but a parking lot, evidently a parking lot made specifically for motor homes and campers, because there were many of them nearby. Chesapeake Bay Mother and Father had been eyeballing various RVs and motor homes all the way across the country. We were camping novices who had grown tired of putting up and taking down that pop-up camper with the canvas roof that had no heating such that when it was 30 degrees in the Rocky Mountains in the dead of August Chesapeake Bay Pre-Teen had to wrap herself in a VINYL TABLECLOTH to get warm enough to actually fall asleep. But that is part of a story from a future chapter in this series, one which also involves three children being sent into the dark wilderness of Yellowstone to fetch firewood only to nearly kill themselves racing back towards camp in pitch black darkness, screaming the whole way, after hearing the mournful howls of ravenous wolves salivating at the prospect of a leisurely supper of Lost Kids Looking for Firewood. In Yellowstone. At night. Anyway, Chesapeake Bay Parents were always pointing out various campers, and there happened to be a particularly nice one parked next to us in the Grand Canyon parking lot. Chesapeake Bay Mother decided she ought to get closer for a better look. After sizing up the outside, she cupped her hands over the sides of her eyes and pressed her face against the back window. Now why did she do that? The next thing we know Chesapeake Bay Mother jumps backwards and screams. She quickly runs away from the camper and tells us to get to steppin'--now. It seems that although the camper was parked in the Grand Canyon parking lot, it was not vacant as CB Mother assumed. One male inhabitant was still inside and he not only had no clothes on, he was standing naked right near where Chesapeake Bay Mother was playing Peeping Mom peered in. The moral of the story is this: The Grand Canyon is something everyone must see, but the inside of some stranger's camper is not. The other moral of the story is if you are going to prance around naked in your camper, don't do it when the Chesapeake Bay Family is around. We know no boundaries, especially when we've been trapped in a car together for weeks and are thousands of miles from home. This is Mt. Zion United Methodist Church, which is perched on top of a roadside hill in nearby Gloucester County. I've been wanting to take its picture for a long time now. Driving by last week, I was mesmerized by the shadows and couldn't resist the urge to pull over. According to the sign out front, the church dates back to the 1700s. It's a beautiful if not slightly unusual building for a church. There's no steeple, no bell, none of the usual features you expect to see on a church around here. In some ways it resembles a schoolhouse more than a church. There are two very small graveyards on site. Otherwise, I don't know much about it. Perhaps Chesapeake Bay Mother, who's from Gloucester, can shed more light or share more details. Regardless, it's a beautiful building that no doubt has an interesting history. There's no particular reason I featured churches two days in a row; it just worked out that way. The frigid temperatures and lack of time have prevented me from going out to take many new pictures. This is more of a coincidence than a conscious effort on my part, I promise. Coincidence vs. Conscious Effort could be a T-shirt, a bumper sticker or maybe the title of my next book, who knows. The bottom line is very little conscious effort is put forth here or anywhere else in my life. I discovered a long time ago 'tis better to go with the flow than try to control anything everything. The philosophical portion of this post, as well as the original portion relating to a church in Gloucester, is now over. Thanks for reading! I must pass this house ten or fifteen times a week going to and from the Court House for this or that. 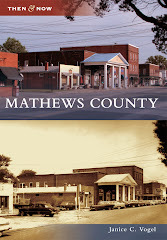 It sits between Bill Dixon's old place and Mathews Baptist Church, shown below. Although I've admired it from afar, especially in warmer months when a wisteria vine blooms out front, I had no inkling there was any special significance to the house until I started doing research for the book. Come to find out, this is the old parsonage for Mathews Baptist Church, of which I have been a member all my life (although I'm no longer active). Ever since I can remember, however, the parsonage has been a brick house on the way to Gwynn's Island, on the left just before the bend approaching the turn-off to Redart. I have no idea whether the church still owns the original parsonage. No one lives there anymore. The house just sits politely and casually observes the passersby and goings-on in bustling downtown Hudgins. rectory or vicarage; glebe house. We also use the word "glebe" around here lots, primarily because there is a road and an area called the Glebe, associated with the former glebe of Kingston Parish of the Church of England, dating back to 1665. In 1802 parishes were required to sell off all glebes, and in 1810 Kingston Parish auctioned off all its land to benefit the poor. And this concludes a post which began as a discussion of the original parsonage of Mathews Baptist Church but veered quickly and unintentionally off towards the Glebe before the author realized what was going on. Mathews Baptist Church, also known as Old Baptist, was founded in the 1700s. "That bunch next door is having a party tonight. There better not be any disruption to my beauty sleep." To which CBW says, "Pay no attention to this ornery, honkin' son of a gun who causes more disruption than any other animal I've ever known." Speaking of the big party tonight, is it over yet? I'm worn right out. Middle Sister and her husband arrived last night. Chesapeake Bay Daughter had an away (far, far away) basketball game last night. There's still macaroni and cheese to bake; pork tenderloins to marinate, and ham biscuits to make. Fruits, vegetables and cheeses need slicing. Wine needs pouring. Floors need sweeping and dust bunnies need evicting. Come on over and help me clean help us celebrate my father's 70th birthday. The festivities begin at or near 6:00. Take a gander (pun intended) at those beady little eyes. As long as we're still talking about how much work there is left to do Gustav, below is a video the Chesapeake Bay Children made last summer for Blog Fest. There may be a misspelled word or two, but even innocent children can see Gustav equates to chaos and bedlam. Here's to keeping Gustav, chaos and bedlam at bay. 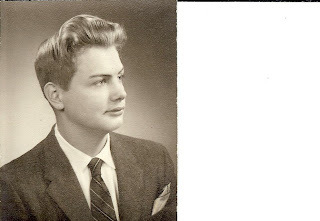 With so much left to do for my father's 70th birthday party on Saturday, there's no time to contemplate a fresh blog post for today. So I'm recycling an old one. This is a timely repost since it features the whole Chesapeake Bay Family on one of the rare occasions (such as this weekend) when we're all together--in this instance trapped in a Volkswagen Bus with no Matchbox cars such thing as the internet; no communication devices other than a CB radio; not even an 8-track cartridge for music-- and most importantly, not a single grain of sense to be found in the group. This December 2008 post was the initial chapter in a series that attempted to capture the month of August 1977, a month which shall live in infamy in this family, and not just because Elvis died. Once upon a time there was a family named Chesapeake Bay who lived in Mathews County and did not travel much. In August of 1977, they shoved one cooler, one porta-potty, three bickering children, no games and no other form of entertainment whatsoever into a Volkswagen bus pulling a Coleman pop-up camper. They headed to California. Driving. With three bickering children, two of whom were ornery sisters, trapped with their parents. No entertainment. Chesapeake Bay Pre-Teen spent the majority of the trip sitting in the well in the back of the bus picking her toenails and plotting a scheme to torture her younger sisters--mostly Middle Sister because Baby Sister was too young and that would have been taking advantage of the situation. That would take all of the fun out of it. As it turned out,Chesapeake Bay Pre-Teen didn’t have to do much plotting to be entertained by her Middle Sister during this trip. Fate took over that task quite nicely. There were many interesting sites and several entertaining stories that happened prior to this one, but I'm going to start with the Nevada Bathroom Incident. By the time this haggard crew arrived in Nevada, they were tired. They were bored. They were cranky. And they loved the rest stops because it gave them the chance to see something different, such as fresh air and plenty of distance between them and their irritating family members. Anyway, this particular place was crowded, and everyone except Chesapeake Bay Middle Sister had completed the mission. Chesapeake Bay Family waited patiently for Middle Sister. There was a whole lot of commotion, lots of people milling around. And then it happened. Chesapeake Bay Middle sister emerged from the restroom and there, hanging from her poncho, was a johnny mop. Middle Sister's poncho had caught onto the frizzy part of the toilet cleaning apparatus when she sat down, and it stuck like velcro to that poncho. And she did not know it. She was walking towards us in slow motion as angels sang in the background donning a johnny mop. Attached to her poncho. OK. It's only in my version of this story that angels were singing and she was striding in slow motion dragging a johnny mop in front of hundreds of people in the state of Nevada. But this is my version, after all, and in all versions of the story she was dragging that johnny mop. Chesapeake Bay Pre-Teen had enough entertainment to last at least until California, which I do believe was the state where the entire Chesapeake Bay family loaded up in the VW bus after yet another rest stop break and took off down the road. Except the entire Chesapeake Bay family was not, in fact, in the bus. Middle Sister had been left behind. Angels were singing in this instance as well, though they stopped when we turned around to go get her. I'll share more details on that incident and others relating to this trip the very next time I'm too busy to prepare a new blog post, in other words very soon. Thanks for reading and have a great weekend. Welcome to Thursday, the day of the week where we share three things, however boring and mundane random they appear to be. 1. Yesterday I received reassurance from my publisher that, in spite of all my inner voices internal debates to the contrary, disaster was not imminent regarding this book I'm working on. Before yesterday, I was thinking I might have to start over (after hours and months of work) because of a technical glitch in my scanning process. Instead of freaking out over what I thought was a major error, I just acknowledged there might be a problem, hoped for the best and denied the worst until I heard for sure what the outcome would be. I visualized tossing a great big bag of Burden upwards towards the sky and walking away from it. I told myself I wasn't going to worry about it until there was a reason to. Yesterday at work I received a telephone call saying there was no reason to. Amen. Hallelujah. Oh yeah. Word. Finest kind. I heard that. Yes. Thank you, thank you, Powers That Be. 2. My father's 70th birthday party is this weekend, and the entire Chesapeake Bay Family is getting scared gearing up. Anyone reading is welcome to join in the festivities. Although I don't expect it to be a huge party, mostly neighbors and a few friends, I guarantee you'll have a good time. This family, aside from being experts at wreaking havoc and attracting disasters, is also more fun than a barrel of monkeys. Please join us if you can and help us celebrate this very special occasion. 3. Temperatures reached the fifties yesterday, and it felt like a tropical paradise minus the paradise. I cannot wait for sustained periods of sunshine and warmer days so I can walk/exercise outdoors more regularly. I've been on strike for the past several weeks, and that combined with the dreary days create a hormonal state mood known as "I'm feeling less-than-princess-like so whatever you do, don't look at me cross-eyed." Thanks, as always, for participating. Aaron's Beach, December 2010, looking west. I am sharing some old photos that feature the color green. I can't wait for warm weather. Hoping to find some words of wisdom to support my lack of enthusiasm for winter, I happened instead upon a few quotes which give good reasons to appreciate this time of year. OK, fine. Pardon me while I spend the next few months savoring my bad mood. And hurry up, Spring! This shy old house down Whites Neck usually hides behind Mother Nature's abundant greenery on the few times I've come calling before, in the summer months. But a few weeks ago, after one of our snow storms, she was exposed, vulnerable and very visible from the road. I wanted to coax her out of her shell a little more, but that would have required trespassing getting out of my car or pulling into the driveway which, as you can see above, was full of brush snow. It was too cold to get out. Instead, I used the zoom lens from the warmth and comfort of my car on the main road. There were no other cars around for miles. Don't you just want to run across that field and explore all around and inside that house? Speaking of old houses, the DIY network is supposed to begin filming this month for their 2011 Blog Cabin series, which involves a farmhouse renovation down at Susan. This weekend I saw a very unexpected and most unusual sight in our dear county: a taxi. I don't think I've ever seen one here before, ever. Putting two and two together, Sherlock I deduced there had to be some correlation. A major network filming the same time as a once or twice in a lifetime spotting of a taxicab surely must be related. At least in my little brain world. And this concludes a post that started off about a timid farmhouse and ended up trying to explain why a taxicab would be patrolling Mathews County. p.s. For the Mathews readers, have you ever seen a taxi around here? Why wouldn't the person just rent a car? By the time you pay cab fare for 50 - 75 miles (depending on whether you're flying in to Richmond, Norfolk or Newport News), wouldn't it make more sense to rent a car? Am I the only one who has never seen a cab in the county? Do you know how many more questions I could ask if I didn't force myself to stop? Too many, that's how many. Have a great Tuesday. Once upon a time, Gustav broke free and went for a swim. This is a very long story that involves more than a few cuss words, regrettably. If you wish to read the Reader's Digest condensed, abridged, PG-13 version, just look at the pictures, read the captions, and scroll down to The End. Once upon a Saturday, Chesapeake Bay Woman was happy that her friend Bayman had arrived to help put together her daughter’s new basketball goal, where help means he was going to do it because CBW doesn’t have the patience to read instructions or put things together. As they were discussing whether or not the necessary tools were on hand, Bayman casually noted that Gustav the Killer Goose was out cavorting with two Canadian friends. CBW, who ordinarily would not give two hoots what the killer goose was doing, noticed he was swimming up the creek, away from the house, to a land far away. And she knew right away this was a blessing in disguise since she and the goose were anything but BFFs a big problem. Now most ordinary folks would say, “Oh, look, that goose is enjoying himself in the creek.” But not CBW, whose family is anything but normal ordinary. Although CBW wanted to dash out and throw streamers and confetti to wish Gustav a bon voyage, she knew that CB Mother does not allow Gustav to swim in the creek, because he might enjoy himself might not find his way home, and this would spell D-I-S-A-S-T-E-R for Chesapeake Bay Mother, who keeps her animals very carefully imprisoned confined. Realizing the life of misery that would ensue if she did nothing, CBW notified the proper authorities by telephoning her mother next door. CBW hung up the phone and took a seat in her living room to watch the events she knew were about to unfold. CB Mother, using her best Bruce Jenner form, sprinted across the yard with a bag of corn, hollering for Gustav to come back. Gustav, well upwind, pretended not to notice and continued up the creek. Chesapeake Bay Mother tried to lure him back with corn. CB Mother then darted to her car. CBW very nonchalantly and matter-of-factly told Bayman, “She’s going to the cemetery now.” The cemetery across the creek would put her closer to where Gustav was swimming. The last time he got loose she drove there and waded up and down the shoreline calling and directing him back home. Dear Queens Creek Neighbors, we just can't help it. Thanks for playing along and not calling the law. From the comfort and warmth of her living room, CBW watched as CB Mother’s car pulled in on two wheels over at the cemetery. A slightly baffled Bayman, wondering what planet he had landed on trying to understand why a goose shouldn’t be allowed to swim, watched intently as CB Mother attempted to direct the dim-witted goose back down the creek before returning to her car and driving away from the cemetery in defeat. “He’s DEAD!! He can’t fly, he’ll never find his way back. He’ll go ashore and a dog will eat him alive,” she said, wringing her hands. CBW knew there was no use arguing even as she stared at the very much alive Gustav, right there in the middle of the frigid creek. A visibly distraught CB Mother left. When that didn't work, CBW braved the frigid waters in a canoe. Note there's ice there to the right. Bayman and CBW dragged the canoe clear across the yard to her mother’s house since there was ice in the cove and no other place to put in. Bundled up in a scarf, mittens, an attitude, and some very serious questions as to where exactly her sanity life went so awry, CBW began paddling in the very, very cold wind up the creek with a paddle towards one very ornery goose. At first Gustav seemed agreeable and began to swim towards the canoe. Then he changed his mind, resumed his natural state of ornery, and started swimming away. After much ado, Gustav was finally herded so that he was swimming towards the house rather than out the mouth of the creek. When he approached the shoreline, however, he took a wrong turn and headed down CBW’s cove, where the thin film of ice was. If he got up on the ice, there was no way to retrieve him. Realizing he was starting to flap his wings to elevate himself up onto the ice, and also knowing the creek was only knee-deep at this particular point, CBW jumped out of the canoe and ran after the beast. After only five or six galloping strides, she herded him up onto the shoreline, where the thick marsh grass quickly ensnared him. Then, knowing there was no other way to get him home due to the thickness of that prickly marsh grass, CBW did the unspeakable, the unthinkable. With a canoe paddle in one hand for protection, she reached down and scooped up that goose under her left arm. Oh yes she did. Soaking wet in the frigid temperatures, she trudged across the yard, pushing aside all thoughts relating to a panic attack Gustav suddenly deciding to peck her eyeballs out or bite her on the neck. And then, knowing the goose was safe and the nightmare was over, but wondering what on Earth sort of question that was, CBW did the next most unthinkable thing besides picking up a killer goose. She shoved the goose into her mother’s arms and said, “Here’s your Godd@#* goose,” before doing an about face in her soaking wet pants and stomping in her soaking wet shoes towards her nice, warm, cozy, dry, gooseless house. After everyone did things they could not believe, Gustav was returned safely to his pen. The End. 3. My mother used to keep her ducks zipped up in a nylon tent “for their own protection.” Confinement seems to be preferable to freedom around here, especially if you’re a domesticated goose. 4. I do not love the goose, but I love my mother, which is the only possible explanation for me jumping out of a canoe to scoop up an armful of evil in the middle of January on my day off. 5. My apologies for all the cussing, but evidently I'm not done yet. 6. We’re all crazier than hell here in Mathews. These seagulls, visible from the public landing at the Seabreeze over on the island, were admiring the sun's descent from the sky Thursday evening. I wanted to rush over and put a warm towel around the one above, because it was way too cold to be knee-deep in the water. Not that seagulls have knees. Not that seagulls care about how cold the water is. Speaking of birds in cold water, I can't wait to tell you the story about Gustav's great escape on Saturday and how Chesapeake Bay Woman went from sipping coffee in her nice, warm living room to splashing around in the frigid waters of Queens Creek, all to save one ridiculous goose. Tune in tomorrow for the next edition of The Misadventures of Chesapeake Bay Woman And Reason #659 to Feel Animosity Towards Gustave the Killer Goose. Have a great Sunday. Stay warm and dry. If you're Annie in Australia, that dry part is particularly important. 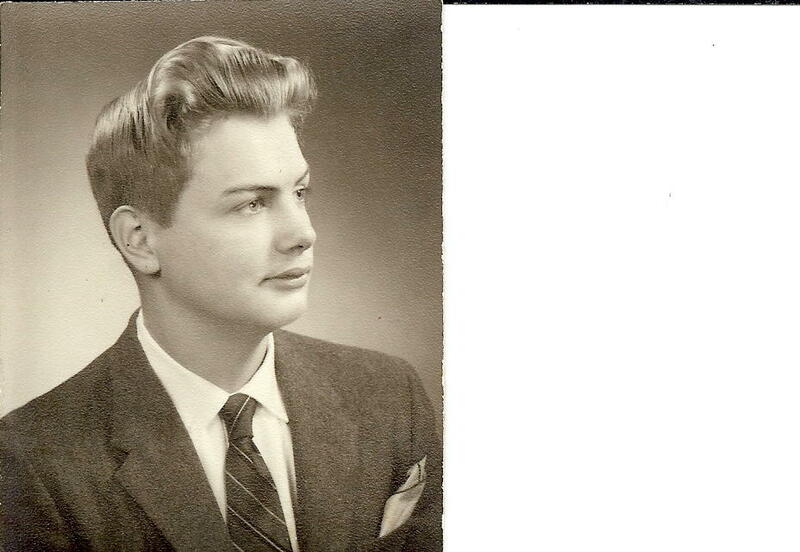 This is a picture of Chesapeake Bay Father in his younger days. There is no date on the picture, but it was taken at Farabees Studio, 3005 West Avenue, Newport News, VA.
A week from tonight, the Chesapeake Bay Family is hosting a 70th birthday party for him. Anyone reading is invited. The entire Chesapeake Bay Family, including Middle Sister and her husband, all the way from Georgia, will be there. That could possibly ever be. Please help us celebrate Sam's 70th birthday. When: Saturday, January 22, 6:00 p.m.
Presents are not necessary - only your presence! Yorktown Beach and Coleman Bridge, May 2008. Anyone in Mathews or Gloucester who wants to reach any sort of civilization to the south must cross the Coleman Bridge, which connects Gloucester Point to Yorktown. Technically, that's not entirely true since we could drive through West Point and then hop on the interstate, but the quickest and most logical route is over the York River at Gloucester Point. Also, I could debate whether what's across the river is civilized or not, but that's a topic for another day. Like most of our local bridges (including the Gwynn's Island, Piankatank River and Rappahannock River bridges), the Coleman replaced a ferry service. "The first ferry was a 1HP put-put engine on a small flat top boat used to transport horse and buggy from Gloucester Point to Yorktown. The first real ferry was the Cornwallis; others were the Miss Gloucester, York, Palmetto, and Miss Washington. The last was the Virginia. The storm of August 23, 1933, caused tides that were seven feet above normal high tide, destroying the ferry dock at Gloucester Point and the steamboat dock at Yorktown. There was a side slip for the extra ferry the York. When the tide receded, it hung up on the pilings and put a hole in the bottom. The Palmetto had to ride the York River until the tide receded to normal. Capt. Willie Jordan docked the ferry at the Gloucester Point Steamboat Dock nose first by stabilizing the four corners of the ferry to the dock. A ramp was erected so the cars could drive off the ferry safely. The ferry line was owned by W, T. Ashe, Gloucester Point, Va. Seven days later another bus, first to board the ferry, drove up to the chain, and applied the brakes, but the brakes failed. The bus dove in the York River nose first. There were no casualties. The driver was yelling "SAVE MY WIFE! SAVE MY WIFE! GET MY BOOTS OFF I'LL SAVE MYSELF!" Thank you, Bill, as always, for sending this gem of an e-mail regarding the Gloucester Point ferry. * If I lived back then, I probably would have avoided crossing that river at all costs, thanks to the CBW Luck which would pretty much guarantee experiences like (or worse than) the ones described above. * How heartwarming and honorable that the driver of the bus wanted people to save his wife. * But what's up with the boots? Can't he take them off? Did he really want someone to jump in, swim out to him, take his boots off and then what? How were they supposed to get his boots off when they're treading water in frigid temperatures? These are the sorts of questions that will haunt me for years on end. I must know the answers. * The next time I silently curse that Coleman Bridge, which will be exactly six times next week, I'll remember this story and will be thankful I'm not plunging head first into the York River aboard a bus in the middle of January. Brrrrrr. But most of all, I'm going to wonder about those boots and how someone was supposed to get them off so he could save himself. Was he going to stand on his head underwater with his feet sticking up? How would they pull them off? Why can't I let this go? Welcome to Thursday, celebrated on this blog by sharing three (or more) things which are usually random, off-the-top-of-your-head thoughts. For those of us with self-diagnosed, adult-onset ADD (brought on by old age technology and the ever-increasing expectation that a person must do sixteen things at once, in three or four different locations), it's slightly liberating to receive permission to spew off completely random thoughts, even if that permission comes from oneself. 1. A week from Sunday, Chesapeake Bay Father turns 70. Born with a defect which required open-heart surgery as a teenager (and submersion in ice), he has every reason to celebrate. And celebrate he will, assuming I can clean the house and get to gettin' on the birthday fiesta, which will be on Saturday, January 22, for anyone interested in attending. 2. Chesapeake Bay Daughter, a seventh grader, had a basketball game last night. They lost 21-20, but that close gap was made possible by her inability to accept defeat until the game was actually over, and the two three-pointers she scored in the last seconds of the game. I blinked back tears of joy and pride. She's absolutely amazing. Truth be told, she looks just like Chesapeake Bay Baby Sister on and off the basketball court. Chesapeake Bay Baby Sister scored over 1,000 points in her high school career and was one scrappy, determined player, just like her niece. After she and I debriefed tonight, I gained a whole new respect for her performance on the court. She kept fighting and didn't resign to losing before they actually did. She believed until the last millisecond there was a reason to fight and a chance to win. There are many life lessons to be learned in her way of thinking. 3. After months of scanning old photos for the book that's due this summer, I discovered a wrinkle in my methodology that may require me to cry to start over. Terms such as "grayscale" and "output width" are involved. "Grayscale" now refers to the color of my hair, and "output width" involves the size of the tears that I've been blinking back will be streaming, if in fact I have to start over. For now, though, I am not going to think about it panic; the publisher will let me know for sure if something is wrong next week. As far as I can tell, I'm still in the game and there's still a chance. Thanks, as always, for participating and commenting. There are not enough hours in the day to respond to each of you as I'd like. Just know that I thoroughly enjoy reading your responses and thoughts each and every day. To use the quote we talked about on Monday, my readers are finest kind. My dear mother has a cell phone which is always turned off and most of the time located on the middle shelf of her china cabinet. This cell phone is for emergencies only, as in only if the emergency happens to her in the china cabinet area. The inability to embrace technology in this family (myself included) comes from age an extremely limited exposure to anything invented after the VCR CD DVD player. Change is not something people around here welcome with open arms, in case yesterday's post about traveling to the post office rather than enjoying free home delivery is not example enough. Also, I would probably still be climbing up a telephone pole to make a call on dial-up internet right now, here in the 21st century, if a lightning bolt hadn't taken out my modem, but this is not about my inability to understand embrace technology, it's about my father and his willingness to keep up with technology - on his own terms. All these rapid technological advances can be confusing, especially for someone who really doesn't use a computer and to this day has no answering machine or voice mail system hooked up to the land line gets by just fine without it. Flaptop = My father's word for laptop. Spacebook = Facebook or My Space or whatever. Yesterday after work, I received a text from my son, the 15-year-old Technical Guru in this family. Without him I would not know what an ipod was and would not be addicted to Angry Birds. "Hey, Chesapeake Bay Daughter doesn't have a game, but she has practice that ends at 5. Grandaddy told me to send you a fax to let you know. (He meant text.)" Are we the only ones or are there others out there struggling to keep up with the pace of technological advances up to and including the fax machine i-pods netbooks Netflix i-phones? Except for my college years in Charlottesville and the decade or so I was in Northern Virginia, my address has always been associated with this post office at Hudgins, a couple of miles from my house. Up until recently, mail delivery was not available on my lane. Even though it would be so much more convenient, not to mention less expensive (as in free), I've not yet switched to home delivery and thus have to travel to Hudgins to pick up my mail a couple times a week. It really makes no sense that I haven't made the switch, other than I don't have the skills required to put up a mailbox at the end of my driveway. Plus, I'm lazy if I switch to mail delivery, my address changes from Hudgins to Cobbs Creek. Aside from the obvious hassle of having to notify everyone of my new address, even though I haven't moved one inch, psychologically I don't want a Cobbs Creek address. I live in Hudgins, it's always been Hudgins, and I see no need to change. And that sort of thinking is ridiculous, actually. Having the mail delivered to the end of my driveway would be a luxury. Did I mention it's also free? Begrudgingly I might consider changing will make this change and logic possibly will prevail. But not without a little fuss, a few pouts and a couple of exaggerated stomps. Today I'd like to talk about an old school From Here phrase I've heard all my life: finest kind. Finest kind, when used in its purest sense, requires no explanation. If you have oysters of the finest kind, they are the best; the finest; excellent. Obviously. But finest kind is used a little differently here in Mathews. Person A: "Hey, I'll be over at 1:00 on Sunday to take a look at your faulty electrical wiring. It sounds like something we can easily fix." Person A: "Hey, how's it goin'?" Person B: "I'm finest kind." Finest kind used in the first example means "OK," or "Good enough," or "Sounds good, it's a deal." The second example means "I've never been better," or "I can't complain." All is well. Thanks to the wonders of the internet and Google, I learned that this phrase, though not widely used in other parts of the country, is very popular in Maine of all places. Mathews County and Maine may be geographically distant, but we do have a lot in common: coastal communities, commercial watermen, a similar history with regards to settlement, etc. If I didn't already have a job, and a book to work on, and a blog to maintain, and school and sporting events to attend, and a house and yard that are starved for some upkeep, I'd spend some time researching more of our local expressions, their origins and the extent of their use in other areas. For now I'm content mentioning them here, however briefly, just to record their existence for posterity. In a few more years, they're liable to fade away into the ozone layer of Hybridville. If you have heard or used finest kind as described above, please let me know and leave a comment. Whether you're talking about finest kind or you're wondering about the sort of person who would say "liable to," please leave a comment. The bottom line here is no matter what, please leave a comment. I love reading them and hate struggle with Mondays, so it's always a pleasure to come home from work to the comments. Otherwise, Happy Monday, have a great week. This tree and I have had a tumultuous relationship, but we now understand each other. If it screamed for no good reason, I'd scream right back at it along with it.